Our expert animal trappers serve the St. Pete area of Florida. We are Nuisance Wildlife Trapper LLC. call Nuisance Wildlife Removal of Florida, at 941-729-2103 or 866-263-WILD. or anywhere else in the St. Petersburg area.Nuisance Wildlife Removal LLC will also restore your attic. Because the wildlife that was living in your attic contaminates the insulation with urine, feces and other foul smelling materials. 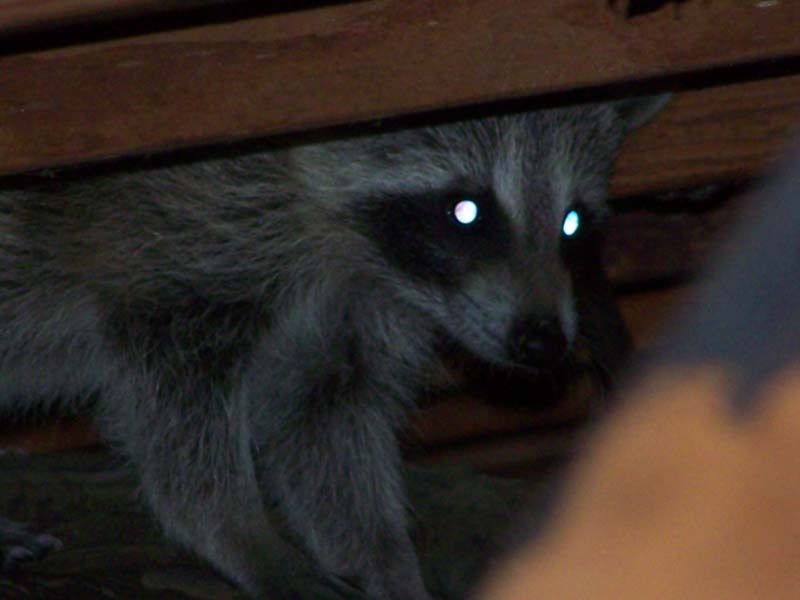 Raccoons especially, carry numerous diseases that can be transmitted to humans, due to attic contamination. Whats in your attic now, can become air born and contaminate your whole home. No need to shop around for a fly by night loner that occasionally takes away an animal from the neighbors yard. Nuisance Wildlife Removal is a qualified and licensed wild animal removal expert with over a decade of full service to the St. Petersburg communities. Why settle for a substitute when you can get the best in the business of animal trapping and control.